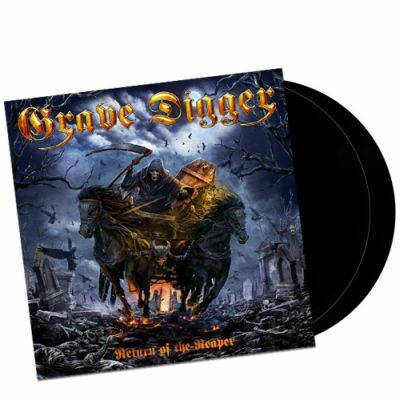 GRAVE DIGGER - RETURN OF THE REAPER VINYL (2LP) | Online Shop | Wizard LTD. Album: "RETURN OF THE REAPER VINYL (2LP)"
GRAVE DIGGER, THE Heavy Metal band from the glorious 80s is back! After touring through all over the world and several full-length albums in the past three decades, the band shows us their very best and hardest side: „Return of The Reaper“, back to the roots and dedicated to the band&apos;s classic such as "Heavy Metal Breakdown" (1984), "Witch Hunter" (1985) and "The Reaper" (1993). Dynamic, powerful and unique, that’s why Grave Digger is still one of the very best metal bands and enjoys a leading role, when it comes to good old Heavy Metal!